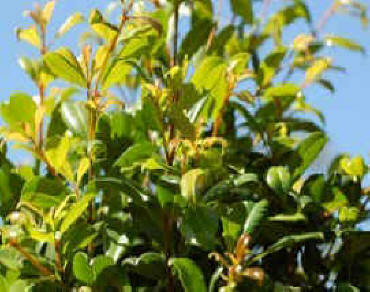 This group of plants come under the following families Acmena, Eugenia, Syzygium, Waterhousea. This is a list of the species we have selected to grow, it is buy no means a complete list but covers a cross section of lillipillies that should fill every need. A recent release lillipilly that is one of the best available. 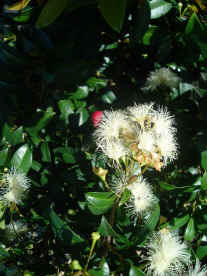 It can be used in similar situations as Murraya Min A Min and Syzygium Tiny Trev. 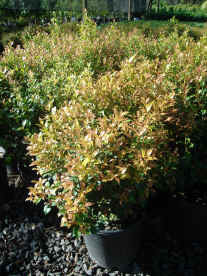 It has copper highlight in the new growth and is an excellent subject for clipping. Unclipped it will grow about 900mm. 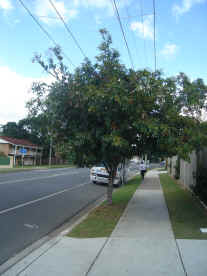 A small tree that that grows to about 5m and can be used under power lines . 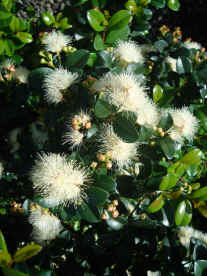 It has large cream flowers followed by large fruits. 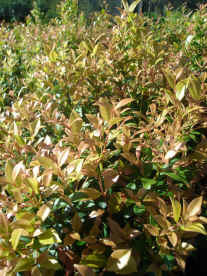 It is fast growing and hardy with coppery new foliage. This is another lillipilly found in the nursery it is fast growing loves pruning, has a similar leaf to Aussie Southern but without the large cupped leaf of Aussie Southern. It grows fast with few pests and loves pruning. This plant was found in our nursery and an eagle eyed staff member put it aside. 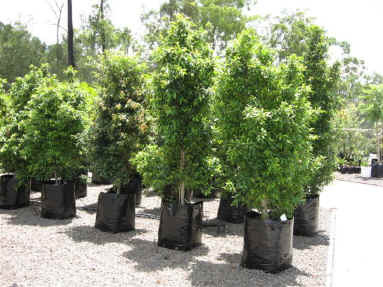 This is a very fast growing columnar lillipilly that is an excellent choice for screening in narrow spaces. 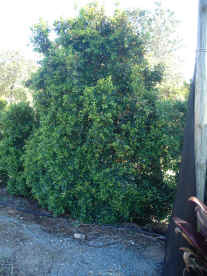 It will grow to 8 meters but can be pruned to any height. We use it exclusively in our topiary work. 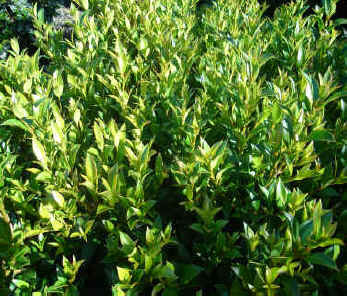 Hardy and pest free it is smothered in white flower in spring and summer. 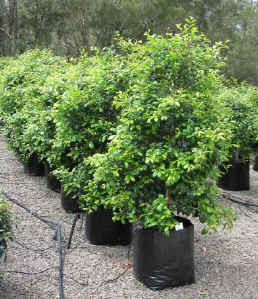 This is one of the best hedging lillipillies available, it is known by many names, "Aussie Compact", "Magenta Cherry", "Select" are a few. This lillipilly grows naturally dense and in reasonable soil will grow to 5 meters. 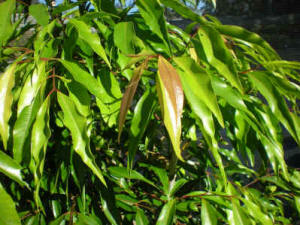 It is one of "Psyllid free" lillipillies and will grow in sun or light shade. Unfortunately not all varieties sold as Elite are Elite. 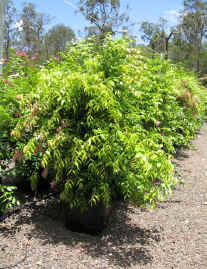 Elite is naturally dense with slightly weeping side branches, the new growth doesn't have copper tones appearing light green against the older foliage. 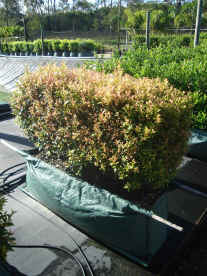 This plant was found in our nursery and an eagle eyed staff member put it aside. 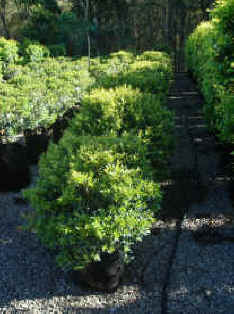 This is a very fast growing columnar lillipilly that is an excellent choice for screening in narrow spaces. 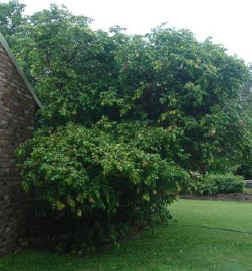 It will grow to 8 meters but can be pruned to any height. We use it exclusively in out topiary work. 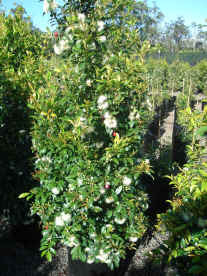 Hardy and pest free it is smothered in white flower in spring and summer. 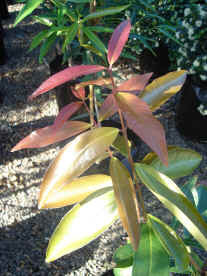 A fine leafed lillipilly that has crimson new growth especially in cool weather. 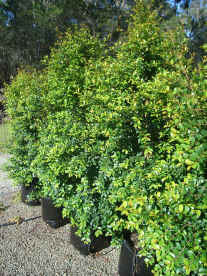 An excellent choice for a small hedge though it will grow slowly to 3-4 meters depending on conditions. 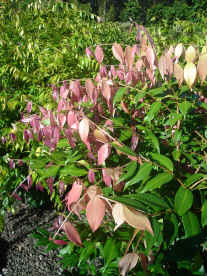 This is a very fast growing lillipilly tree with lightly weeping foliage. 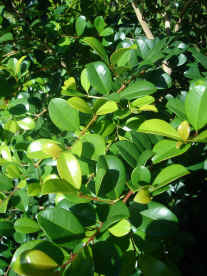 The new growth is a pale green slowly changing to deep green on the older foliage. 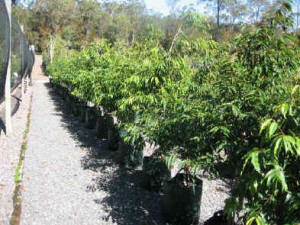 Floribunda is an excellent tree for screening in larger areas as it can maintain foliage low to the ground if unprimed. 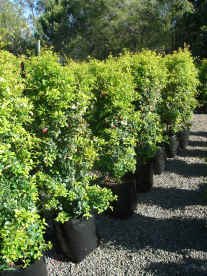 The photo on the right shows the first batch of our Waterhousea floribunda select. We have been looking for better forms of the tree for years and have finally settled on this form due to it's excellent form and growth habit. all of the trees grown by ASPLEY NURSERY in the future will be cutting grown from this form giving the landscaper and designer a guaranteed result and even performance. 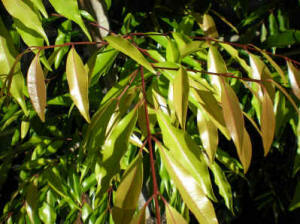 It's general habit is a medium tree to 10m though this is effected by availability of water and soil type. 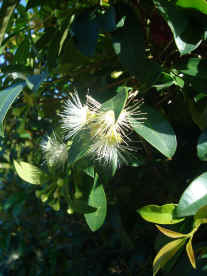 It grows as a native to South East Queensland.